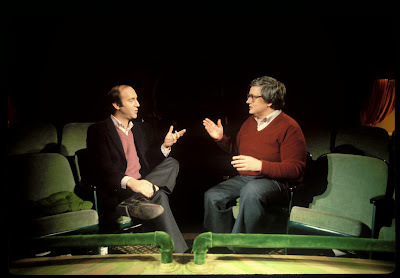 Gene Siskel and Roger Ebert in the critics' chairs. Photos by Kevin Horan for Magnolia Pictures. 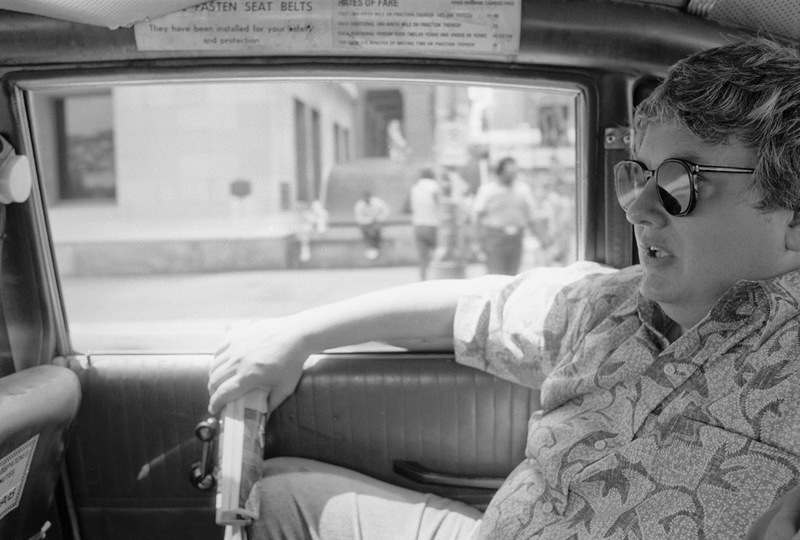 MUCH of the beauty of “Life Itself” is that Roger Ebert was involved in its making up to his death last year. In a way, it is an “as told by” work. The documentary opens today in select theaters and rolls out in theaters around the country over the next few months. It is also available On-Demand and iTunes. (See video below). The critics would eventually move from PBS and become cohosts of two different highly rated and utterly entertaining shows bearing their names, “Siskel and Ebert,” in the title. To date, the shows remain the most influential nationally televised shows ever dedicated to film criticism. It is a testament to the regard in which he is held that RE – a film critic – would be the subject of a film. Martin Scorcese is an executive producer of “Life Itself.” RE counted among his friends Oprah Winfrey. Not only was he the first film critic to receive a Pulitzer Prize for film criticism, he was the first film critic to receive a star on the Hollywood Walk of Fame. No doubt, his writings are destined for the Smithsonian Institution or some similar august clearinghouse. “Life Itself” is about life – RE's life and how he saw the world and some of his thoughts about it and some of the people and politics that inhabit it. It opens a window on his childhood in Urbana, Illinois, early newspaper jobs, his tenure at the Sun-Times. His are frank observations or seemingly so. For instance, he doesn't gloss over some of his quirks and peccadilloes (alcohol abuse). If RE weren't such a integral part of so many lives, such minutiae would not matter. Few would care. But many in the film-going public grew up hearing or reading RE's take on the movies. Choices were made based on the direction of his thumb. This reverence is borne out in “Life Itself” by reminisces about how lives and work were influenced by RE's impressions. No film snob, RE reviewed the most hackneyed blockbusters with as much vigor and enthusiasm as he did exquisite arthouse flicks. No doubt, this made him a trusted source for the moviegoing public. To that end, many will have a care about his childhood just as much as they will about his observations about John Wayne or the aforementioned MS. In 2006, thyroid cancer robbed RE of his ability to speak and to eat and drink normally. It transformed his appearance; he lost weight, rendered a shadow of his former self. But it would take more than a debilitating illness to destroy his determination to keep working. He worked harder. His ability to think and type were not impaired. Young Roger Ebert did not start out to become a film critic. “Life Itself” is a combination love letter and memorial. It is sad and will cause some to tear up. It will also elicit smiles and laughs. It will make viewers privileged to have had RE in life itself. Life Itself” is not rated; visit http://www.magpictures.com/lifeitself/ to learn more about the film. My generation will never know a film critic like Roger Ebert again. He brought his noble trade to the people and made us all film critics by celebrating his love of movies at a level we could all understand.